Though no words could ever express his grief enough, Arjun penned a heart-wrenching note for his mother on her 7th death anniversary which makes it hard to hold back tears. A mother’s loss is a permanent painful void and Panipat actor Arjun Kapoor expressed the same as he remembered his mother Mona Kapoor on her seventh death anniversary. Like every year, Arjun uploaded a throwback picture with a heartwrenching note that makes it hard to hold back tears. 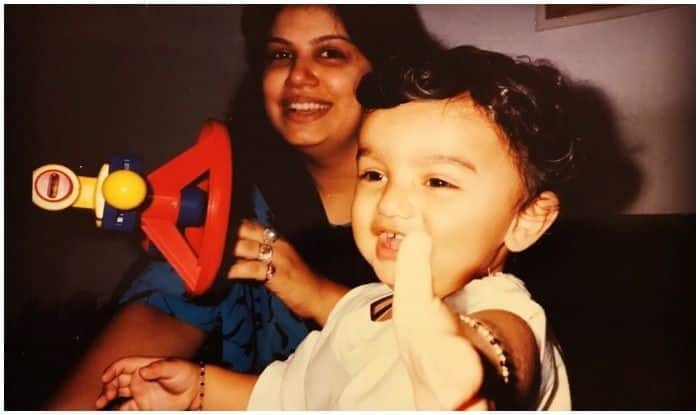 In the picture shared today, a baby Arjun can be seen reaching out for the camera, flashing a two-toothed smile, while his mother smiled at the lens, holding his toy. The happy picture was captioned, “You were my smile & I hope wherever you are I make you smile still… it’s been 7 years since youleft us & all your son is asking you is come back na, please” (sic). Mona Kapoor passed away on March 25, 2012, after a prolonged battle with cancer which left Arjun and his sister Anshula Kapoor clambering together to collect themselves and move on the hard way. Arjun’s first movie, Ishqzaade released in May, two months after his mother had passed away and though no words could ever justify his grief, his often self-claimed biggest regret remains that Mona was not able to see him on the big screen.